This is a big 26 foot sailboat. These boats are very competitive and do well when well sailed. 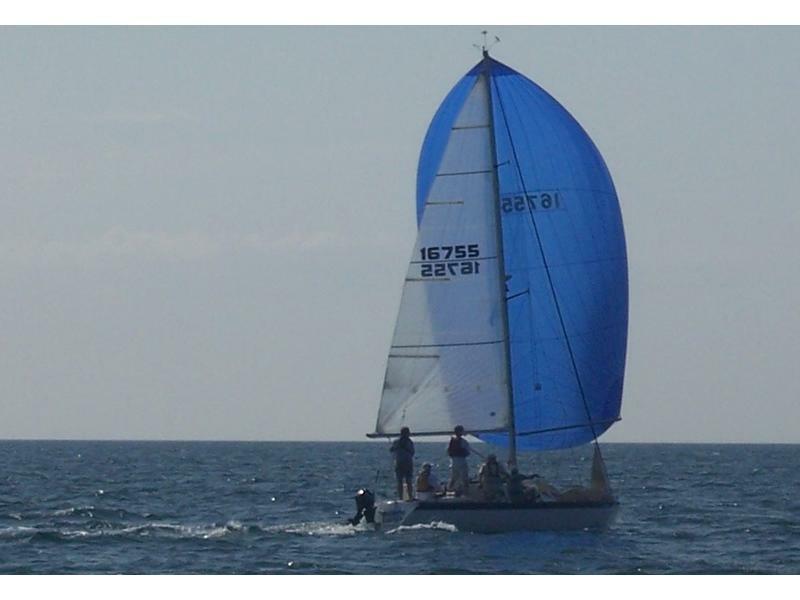 #22 has competed in the First Coast Offshore Challenge 2007. Boat is a rocket to weather, thanks to its large keel, and goes downwind extremely well thanks to its large masthead chute. Heavy enough to blast through the chop. Wide enough to stay powered up with out excessive number of crew on the rail. Shift weight forward to reduce wetted surface for light air (upwind and down).